Parts are a key dealership asset. Your parts departments need to be inventoried on a regular basis no matter how well you run your department. Whether you use an outside inventory service or internal resources, Certified Management Services can help maintain the integrity of the physical inventory process better. 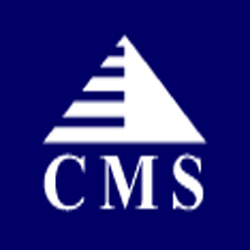 Certified Management Services provide the know-how and physical resources to help you. We supply you with a certified value for your parts inventory, an analysis of your parts operations and inventory management, and recommendations of how to improve profit and CSI, if that is appropriate. Our fees are very competitive. Parts inventory control can be the difference between success and disaster. You need to know exactly where your inventory stands today. Certified Management goes beyond the physical numbers. We create a comprehensive review of your inventory and help you streamline your parts inventory control system. We have developed a unique system of computerized input and inventory tagging for accuracy. Our system ensures that the inventory data is complete and accurate. The inventory data is input with count information and bin location. Input and updates are performed by parts professionals who are proficient with your computer system.